Went to my local pronghorn hotspot the other morning to check on the status of the rut (mating season). The pronghorn rut usually starts in September so I knew I was a bit early but was curious to see what was happening. 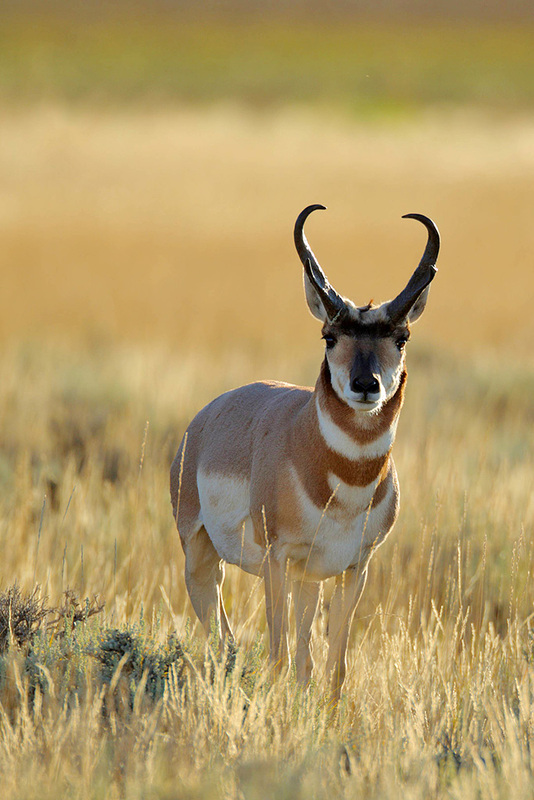 Pronghorn (Antilocapra americana) are usually referred to as antelope or pronghorn antelope. They are not an antelope at all but a totally unique species native to the North American continent. They have horns (not antlers) but shed these horns yearly (like antlers). 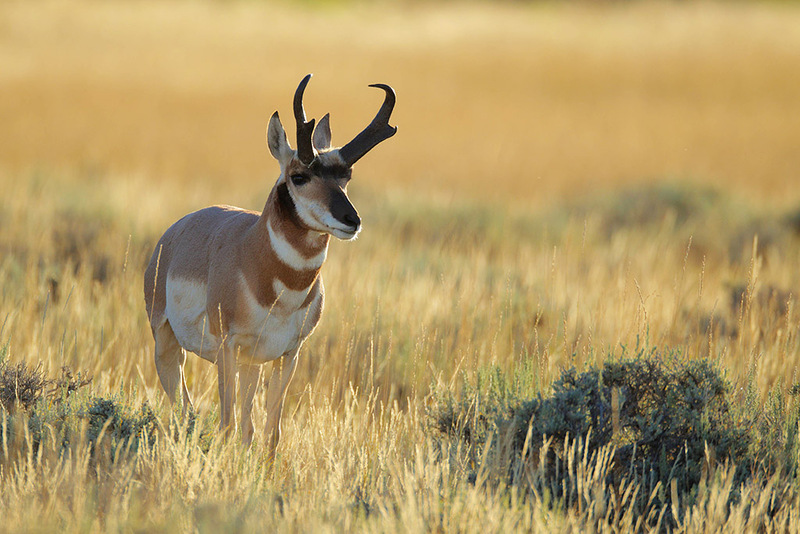 Pronghorn are built for speed and for life in the open country of the western United States. Agriculture, fencing and unregulated hunting dramatically reduced there numbers but with sound wildlife management principles of the 20th century they have rebounded nicely. Here in Wyoming pronghorn outnumber people. I think they are one of the most striking species of wildlife we have and love photographing them. I didn’t see the usual numbers of pronghorn but did find a few. I found this nice buck right off the bat, but had to work him with back light since there was no way to get around to the other side of him. 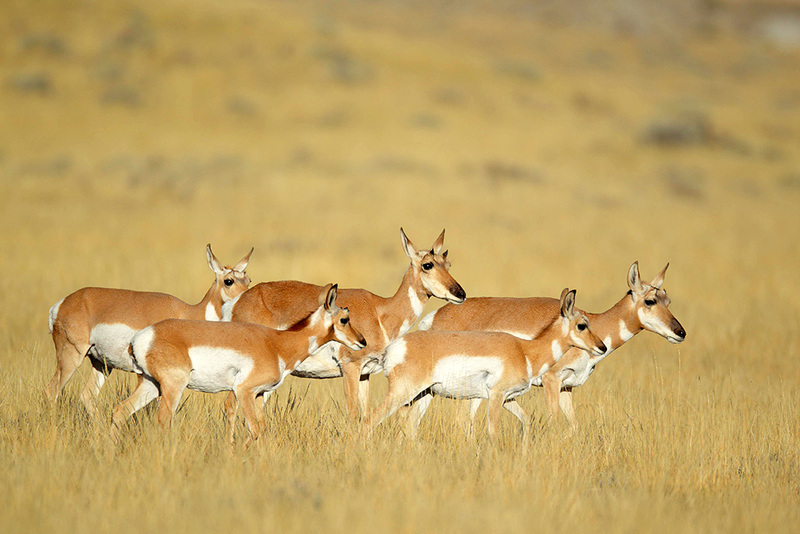 I photograph the pronghorn from my vehicle since they wouldn’t tolerate a person on foot. I wasn’t concerned since with the right conditions back light (the sun was behind the subject) can produce very dramatic images. During the 1st half hour after sunrise and the last half hour before sunset I like shooting this style of images. 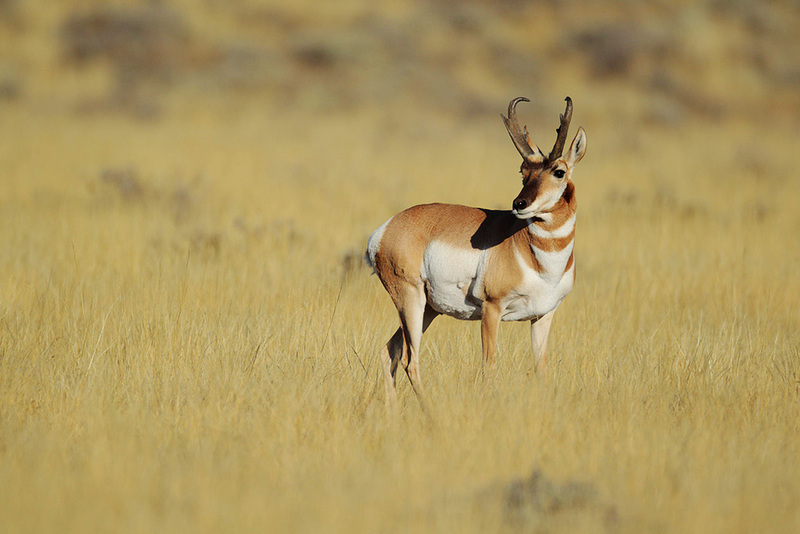 With light colored subjects like this pronghorn you still get great detail on the shadowed side. You get an overall warm glow to the image. On both of the above images I had my Canon EF800mm F5.6L lens with my Eos !Dmk4 camera attached. Shooting in evaluative metering I added a stop of light to obtain this exposure. These two images were shot with the sun over my shoulder which is called front light. It has quite a different feel than the back lite images. On sunny days you can work front lite images for the first couple of hours after sunrise and the last 2 hours before sunset and get excellent results. 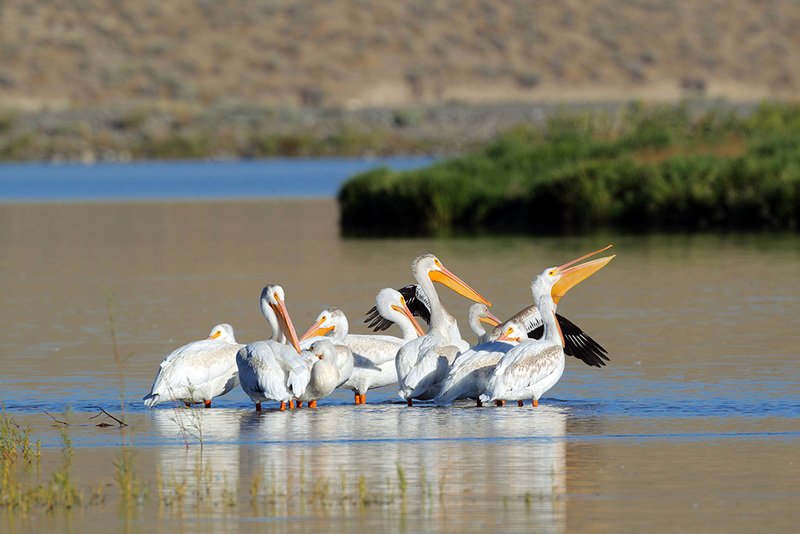 On my way home I drove by the lake and found this flock of white pelicans roosting in the shallows. Again I was using my 800mm right from the car. It framed them nicely. All in all it wasn’t to bad a morning. Great images Robert, antelope are one of my favorite animals to photograph, but big muley bucks are at the top of my list. Thanks Tim, and I agree about the big muley bucks… Can’t wait to chase some this fall!